7th Annual Women's Winterfest & Holiday Food Tasting! 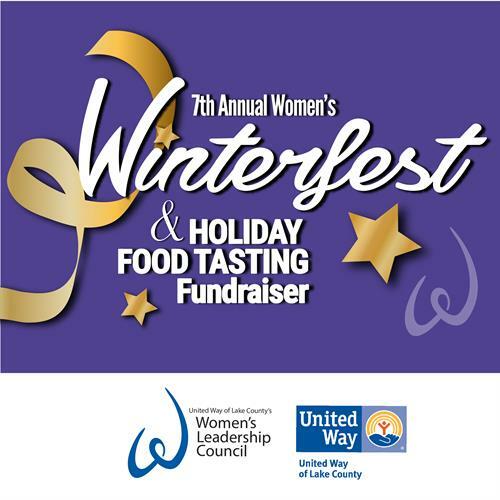 Name: 7th Annual Women's Winterfest & Holiday Food Tasting! Come. Join United Way of Lake County’s Women's Leadership Council's most popular and anticipated event of the year! You'll enjoy amazing eats, loads of great prizes and big fun at their 7th Annual Women's Winterfest & Holiday Food Tasting Fundraiser. Tickets sell out FAST so hurry and register today online at www.uwlc.org or by calling 440.639.1131. P.S. - United Way of Lake County's Women's Leadership Council has awarded $85,191 in grants over the past 4 years due primarily to this fundraiser. The grants have been awarded to non-profit agencies in support of programs that benefit Lake County women and girls in need. Will you help us make an even greater impact this year by encouraging your friends,neighbors, relatives,and co-workers to join you at this year's exciting holiday fundraiser?